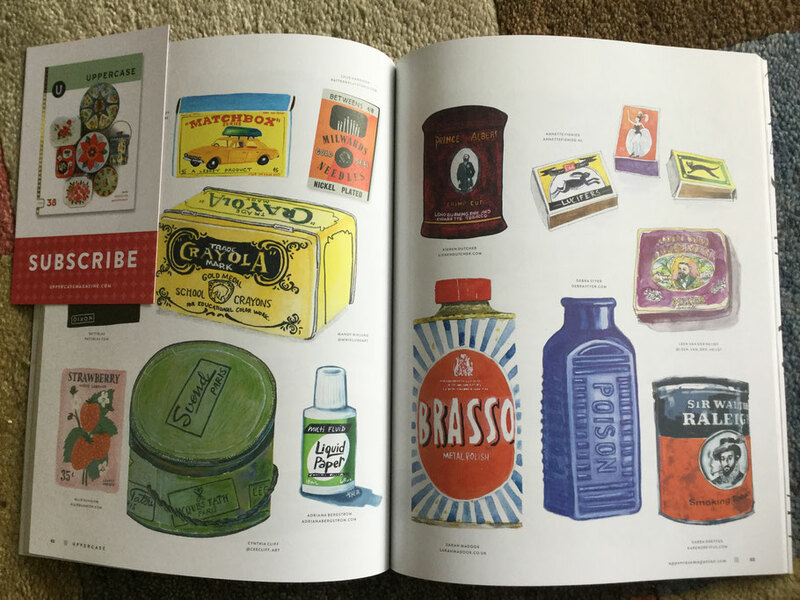 An illustration of mine was published in the latest issue of the beautiful Canadian magazine Uppercase ('for the creative and curious'): three matchboxes, which you can see in the top right corner above. The brief was to draw your favourite packaging. Now, I love packaging design, and especially love small printing as on matchboxes, and stamps, for instance.